For an online casino with a twist, Luckbox Ent. Ltd’s SportsBet.io offers something a little different. As its name suggests, sports is the name of the game, which basically means you’re able to flick between casino and sportsbook options in the time it takes to click the button on your mouse. But surely a bitcoin sportsbook won’t be equipped to offer the same level of casino gaming? That’s a fair point, but on this occasion it’s not something you should worry about. SportsBet.io is partners with VegasCasino.io, one of the largest bitcoin-only casinos in the industry, which means it’s got plenty of experience to draw from. Moreover, the site itself is powered by CoinGaming.io. 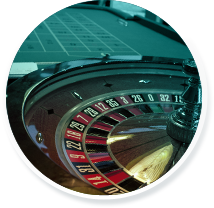 This means you can tap into an international casino network that boasts games from some of the leading software suppliers in the business. Finally, just in case you were worried about safety, all bets offered on the site come via mBet Solutions NV which is licensed and regulated by the Government of Curacao. So, while it’s fair to say that SportsBet.io is a sportsbook first, it’s not the case that it’s a casino second. In fact, if you stick with us for the next few minutes, we’ll show you why this is a bitcoin betting site that’s perfect for punters of all persuasions. As we’ve said, SportsBet.io is a partner site of VegasCasino so it should come as no surprise that the two platforms have a virtually identical layout. Fortunately, that’s a good thing because the site does offer one of the most direct experiences available today. 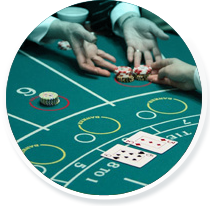 Naturally, to move between the site’s sports betting and casino options, you’ll need to use the top toolbar which is fairly explanatory. Now, depending on the section you opt for, the layout will be slightly different. For sports, the menu runs down the left of the page, while the casino gaming options are spread across the top. However, apart from this subtlety, the main betting options all take place in a central panel. 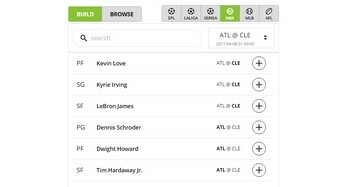 Sports betting fans will have the ability to scroll through dynamic tables that can be filtered manually by day and bet type, but that will also update automatically (for live events). As an added extra, seasoned players can hit the “High Limits” button and the software will filter out all the games where the stakes aren’t high enough to give you a nosebleed. However, perhaps the most impressive features inside the SportsBet.io interface are the rating and favourite buttons. Inside each game box you’ll see five stars and how the site’s players have rated the game. For newbies that aren’t sure where to start their bitcoin betting journey, this feature is great because it tells them what’s hot and what’s not. Of course, someone else’s opinion might not always jive with your own. In these situations, you can simply favourite your own preferences. Using the heart icon in the bottom left of the game box, this option will store the game on your account page so you can access it in an instant each time you login. OK, this sounds great, but what can I do if I want to game on the go? SportsBet.io doesn’t offer dedicated mobile apps, but that’s not a major issue. The desktop interface has been optimised for all mobile devices. Essentially a scaled down version of the main platform, SportsBet mobile offers just as many filtration methods so you’ll never find yourself lost in a matrix of betting options. Welcome Bonus – Place three sports bets with odds of at least 1.4 and SportsBet will give you a bitcoin bonus based on the average size of these opening bets. Do this and you can get up to 200 mBTC for free. Leaderboard Giveaways – Depending on the sporting events taking place, the site will give you a chance to take on your peers in a betting challenge. Each winning bet you place during the promo period will earn you a set amount of points. Finish on the leaderboard and you’ll receive a cash payment. 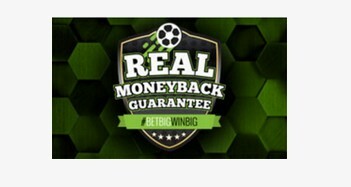 Money Back Bets – Selected soccer matches will be enhanced with a cash back deal. If bet on one of the selected games and if it ends in a goalless draw, SportsBet.io will refund any losing bets. Twitter Bonuses – If you’re willing to join the SportsBet social media family, you’ll get access to exclusive competitions that give you a chance to win some unique prizes such as sports memorabilia. Another interesting addition to the betting menu is the player props section. If you’ve got a favourite player/s, you can create your own bet based around their skills. Available for soccer, AFL and the NBA, this betting option isn’t one you’ll find at too many bitcoin betting sites which makes SportsBet.io well worth a look. 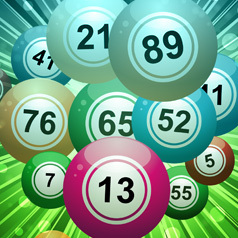 For casino gaming, everything (aside from live and jackpot games) can be played for free. If that doesn’t float your boat, real money options start from as little as 0.01 mBTC which, just in case you didn’t know, is low enough for even the most casual players to join the action. Join the Game in 10 Seconds! One of SportsBet’s claims to fame is that you can complete the registration process in ten seconds. Instead of asking for a ton of information during the initial sign-up, this bitcoin betting site allows you to add things such as your address at a later date. To help improve the overall security of your account, players have the ability to add Google Authenticator. This feature essentially adds a second layer of protection beyond standard passwords. 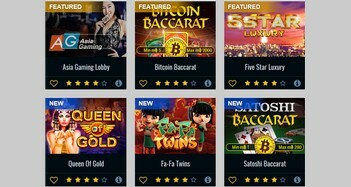 When you add this feature to the fact SportsBet’s casino provider, CoinGaming.io boasts an exclusive SHA-256 Provably Fair algorithm, you should feel comfortable that your games and both secure and on the level. SportsBet.io is a bitcoin-only platform which means you’ll deposit, play and withdraw funds in the cryptocurrency and nothing else. While some betting sites flirt with the idea of bitcoin (i.e. they make it a deposit option but not an in-game currency), SportsBet.io is all-in. That makes the whole deposit/withdrawal process a lot less complicated. But what if I’ve not got a bitcoin wallet or any currency online? Not a problem, this site offers direct links to Coinimal and Cubits where you can use everything from Visa to Skrill to get some bitcoins online before you send them to SportsBet via the following wallet address: 1KgX3XySCj9jyXCefRbnCnjnLMb6wzSTh6. When it comes to variety, SportsBet.io is a site that’s hard to beat. Regardless of how you like to bet, this platform has something to suit. Of course, if you’re not a fan of sports betting, the site might not hold any extra appeal over a regular bitcoin casino. However, if you’re a fan of options, this site is hard to top. Moreover, if you’re all-in on the idea of cryptocurrency casinos, then you need to give this site a try simply because you can deposit, play and withdraw in nothing but bitcoin.